The Fellowship was fortunate enough to obtain a copy of THE DYING & THE DEAD #1 from Image Comics. Jonathan Hickman writes, Ryan Bodenheim draws and Michael Garland colors. The Colonel’s wife is dying, and the doctors can’t stop it. But that doesn’t mean she’s beyond help. The Colonel knows some people who can do very strange things, and they need a favor. He’s helped them before – he has a special set of abilities – and if he helps them again, they will save his wife. He’s not a young man, but he may have one more adventure in him. We don’t just see the Colonel’s story here – we are also introduced briefly to the “bad guys.” It may not be clear what the item does, but what is very clear is how far they will go to get it and use it. And both sides of the story are moving in their own way; it’s powerful stuff. The art is equally moving; there is so much in each of the faces and expressions, it’s impressive. This book is a puzzle, one with a lot of strange pieces. And I’m looking forward to seeing how they all fit together. Check this one out. 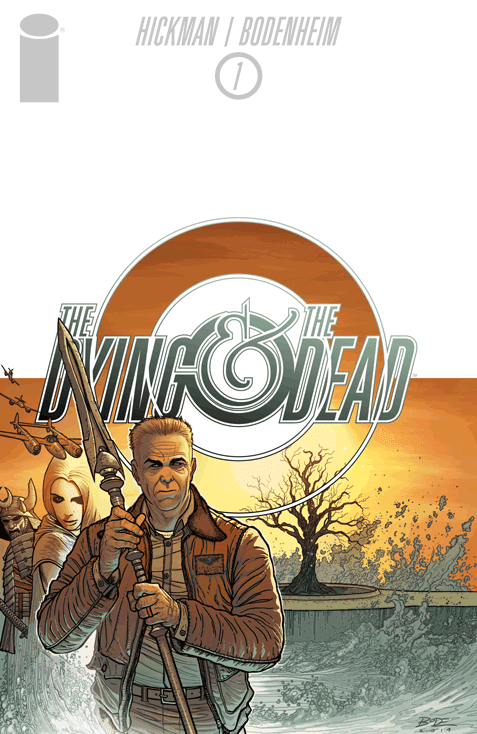 THE DYING & THE DEAD #1 is available now at your FLCS or at imagecomics.com.